Dongargarh is a city in Rajnandgaon district of Chhattisgarh. It is one of the prominent pilgrim places of Chhatisgarh. Blessed with the majestic mountains and ponds, Dongargarh has derived its name from two words-'Dongar' meaning 'mountains' and 'Garh' meaning 'Fort". A popular landmark here, Maa Bamleshwari Devi Temple is situated on a hilltop which is 1600 ft high.Here is some fact about Maa Bamleshwari Devi Temple in Dongargarh Chhattisgarh India. How to Reach by Air : The nearest airport is at Mana (Raipur), around 110 kms from Dongargarh. How to reach By Rail:The nearest railway station is Raipur and Bilaspur Railway station. How to reach By Bus or Road: Dongargarh is located at a distance of 57 km from Rajnandgaon District Headquarters. The best way to go there is train, bus, and then own transport system. 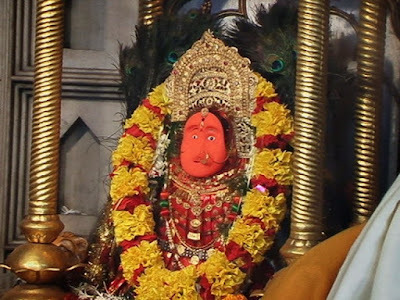 Maa Bamleshwari Devi Temple is surrounded by mountains, it is first known as Dongri and now Dongargarh. 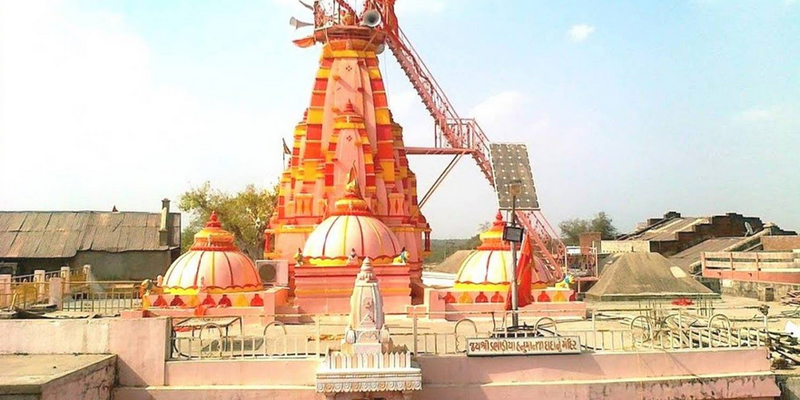 This temple is referred as Badi Bambleshwari Devi. Another temple at ground level is situated about 1/2 k.m. from the main temple complex. This temple is referred as Chotti Bamleshwari Devi. Lakhs of people from in and around Chhattisgarh flock the shrine during the navratris of Kavar (during Dashera) and Chaitra (during Ramnavmi). 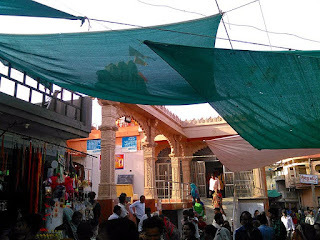 During these navratris melas (fair) are organized in the premises of the temple, which run 24 hours.The added tourist attraction is the rope way. It is the only passenger rope way in the state of Chhattisgarh. Historical and religious places are seen in Dongargarh, after total of 11 hundred stairs climbing.Rope way has been constructed for facilitating passengers. 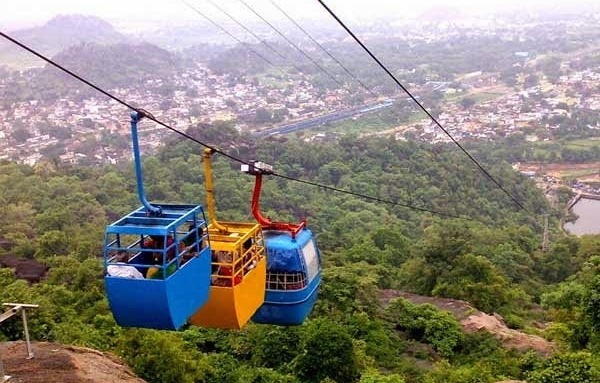 The ropeways run from Monday to Saturday from 8 am to 2 pm and then from April to 3 pm in the evening. On Sundays, from 7 a.m. to 7:00 p.m. on. On the occasion of Navratri, there is the convenience of the rope way round the 24/7. About two and a half thousand years ago, it was known as Kamakhya City. Here was the rule of King Veersen. They were childless. For the welfare of children, they worshiped Goddess Durga and Shiva. As a result, he got a son within a year. Veersen named the son Madansen. To express gratitude to Mother Bhagwati and Lord Shiva, king built a temple of Mother Bumleshwari. After Madansen, his son Kamasena assumed the throne. Kamasena was contemporary of Ujjain's King Vikramaditya. 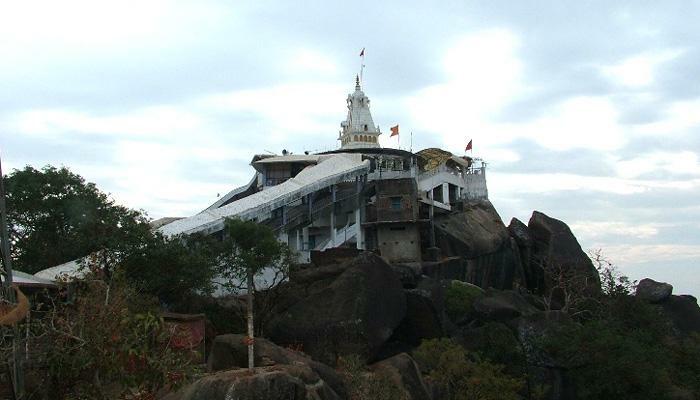 Kamakhya city was famous for art, dance and music and Kamakandla was a famous dancer of the city. She was versatile and beautiful in dance forms. Discussions of his beauty and dance skills were far and wide. 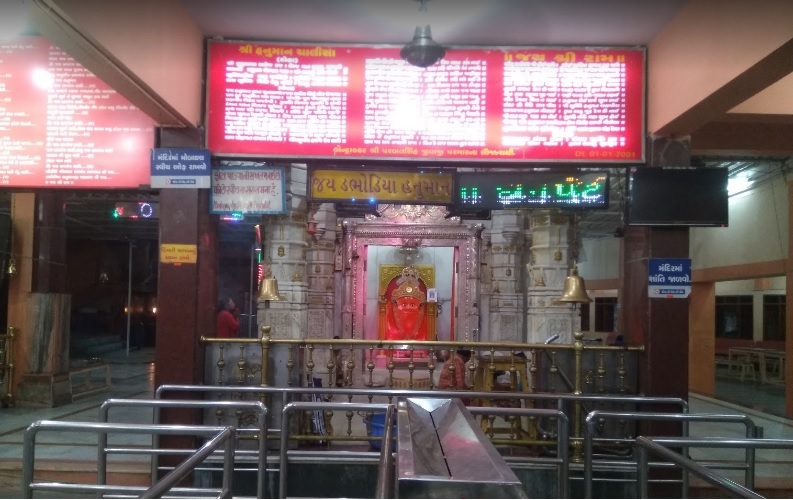 Dabhoda is located in Gandhinagar District near Ahmedabad.Dabhodiya Hanuman temple is situated at Dabhoda which is five kilometers away from Chiloda and 18 kilometers far away from Gandhinagar.Dabhoda is famous for Shree Dabhodiya Hanumanji Mandir . How to Reach by Air : The nearest Airport is Ahmedabad Sardar Patel International Airport. How to reach By Rail: The nearest Railway station is Gandhinagar Railway station. 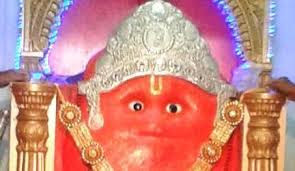 Lord Hanuman is considered as one of the most important character who bears the highest moral as per the spiritual belief in India.The temple was built about Mogal empire time.The temple is dedicated to Lord Hanumanji.The temple is very famous.During mughal empire, when Alauddin Khilji attacks on Patan then King of Patan Saghala has fall back upon the forest of Devgarh. Animal herders are coming in this forest for grazing the cows of Kings and other animals. Out of all, one cow separated from group and drops the milk at one place. At evening it comes in group again. This all matter is informed to king by cowherds. King thinks and takes advice of his ministers, dig out that place and found the idol of Hanumanji from the place. 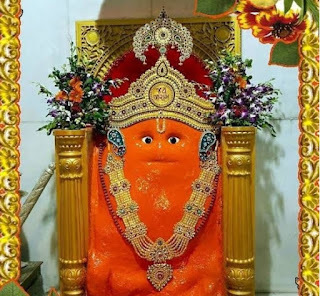 Then do the Yajna and consecrated the idol of Dabhodiya Hanumanji at this place after then the village is become known as “Dabhoda”. 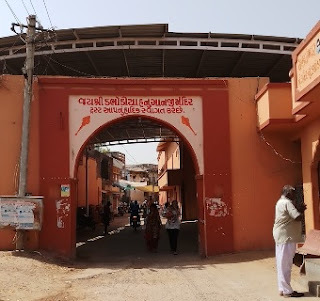 The temple is renovated and now this historic temple is included in one of the most religious tourist places in Gujarat.Hanumanj Jayanti and Kali Chaudas is grand celebration in this temple.A big Fair arrange on Kali Chaudas by temple cammeety.The temple is visited by thousands of visitors every Tuesday and Saturday.